The Dafne Breeches have been designed and manufactured to provide a close, comfortable fit that allows the rider to obtain supreme levels of comfort whilst maintaining optimal levels of movement. Extra care has been taken throughout the construction process to optimise the placement of stitching on the breeches at key areas to ensure the rider doesn’t experience any distress or discomfort during use. The Dafne breeches feature a number of class leading enhancements that makes these the perfect breeches for the busy equestrian rider. 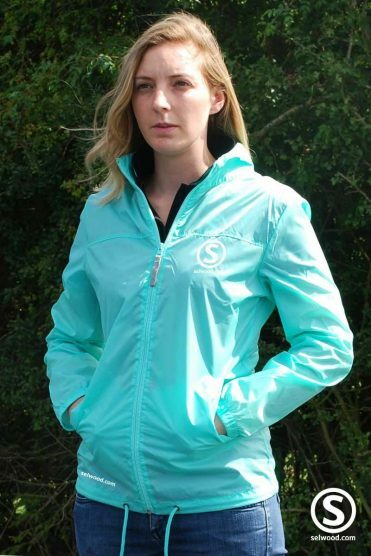 These include YKK zip fastenings which will help to keep the pockets locked securely shut on both of the rear pockets, and Daewoo stretch suede knee patches located around the inner knee section, which serves the dual purpose of providing additional grip to the rider whilst maintaining supreme levels of comfort whilst riding. 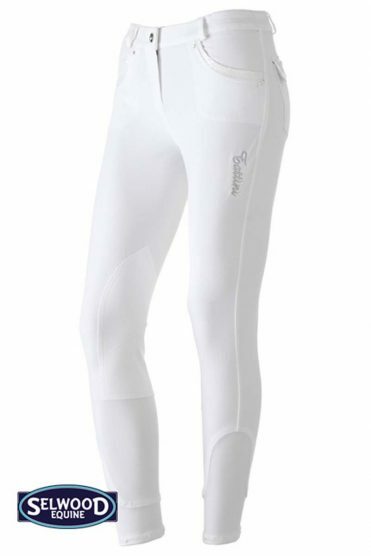 From the calf down the breeches feature stretch Lycra fabric inserts, allowing for a tight and secure fitting around the lower leg, whilst the elasticated waist band will provide the rider with the optimum range of movement when twisting, turning or bending. The Dafne breeches have been generously drizzled in decorative Rhinestone around the pockets, belt button and rear pockets. In addition to this the breeches also feature a crown emblem on the front right pocket (this can be removed from the garment when washing) and the word Tattini has been carefully constructed out of smaller Rhinestones on the left rear pocket. Overall the Dafne breeches provide the busy equestrian rider with everything you could want out of a pair of breeches – comfort, functionality, style and elegance.